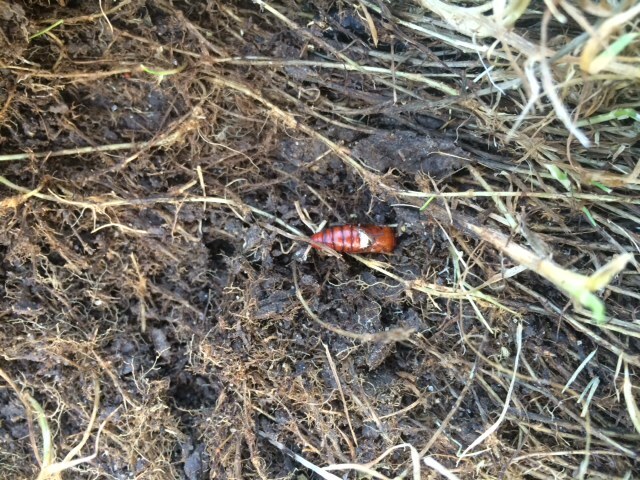 Thanks to Holly Dickman, Ellis County Horticulture Agent, for sending in the lawn photos. Holly came across some bermudagrass with these very funky stripes. What causes this? 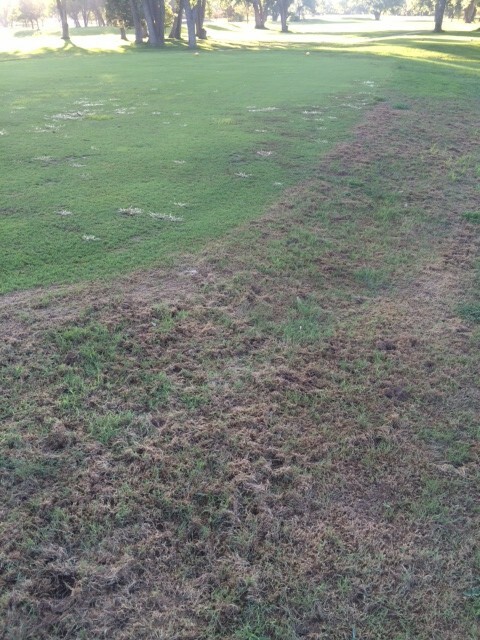 This is caused by frost damage. Why the squiggles? I can’t find it now, but several years ago I stumbled across an article by some physicists where they modeled heat fluxes/temperature and came up with a model to describe how and why this happens. It was full of big scary equations I did not understand. Will there be lasting damage? 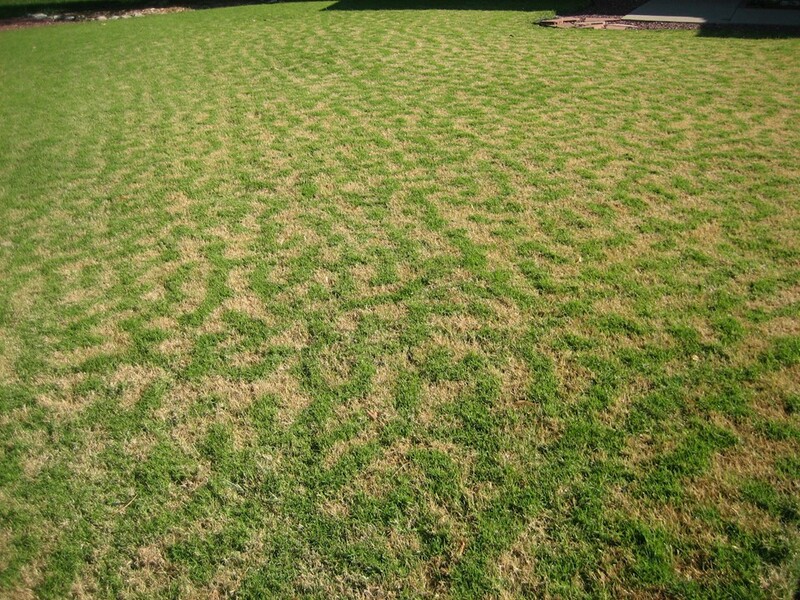 No – this is a temporary condition, and the lawn will even out and go uniformly dormant as cool fall temperatures become more consistent. Some of you might remember an outbreak of itch mites a few years ago. Itch mites are associated with oak leaf marginal gall. I’ve seen a fair bit of oak leaf marginal gall activity this year. I’m not saying there’s an outbreak of the itch MITE – this is just a “heads up” and reminder that if you are seeing oak leaves with marginal leaf gall, take the cautions outlined in the links below. Definitely do NOT rake those leaves up into a pile and jump into them! Got one minute to spare? We want your comments! Can you give us some help? This will just take a minute. Okay, maybe just a couple of minutes at most. 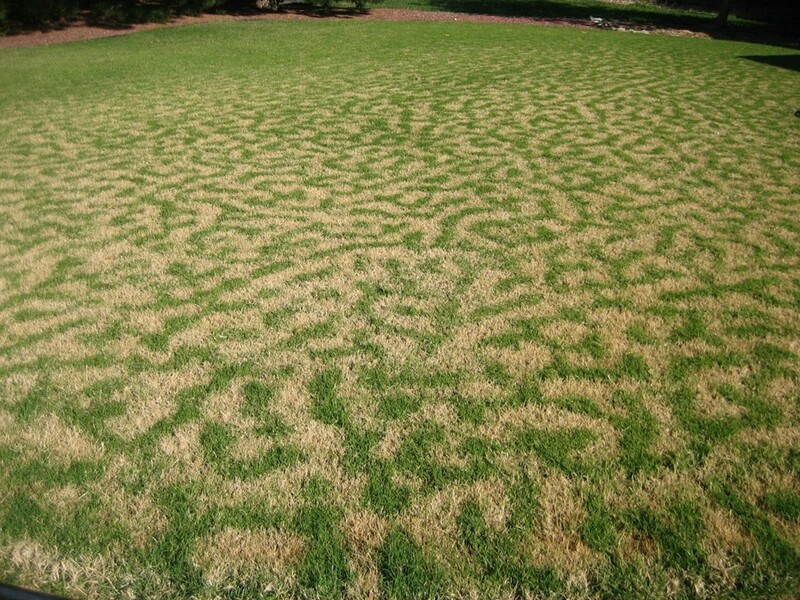 Please take our quick survey about online KSU Turf and Landscape resources. It is 11 short questions, with space for you to write some open-ended comments too. Your response will be anonymous, and it will help us improve our resources! Seedings done after the cut-off date can be successful, but the success rate goes down the later the planting date. 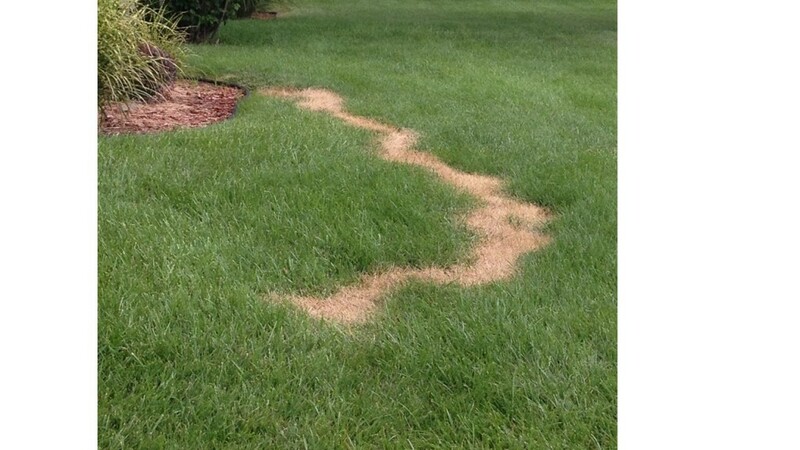 Late plantings that fail are usually not killed by cold temperatures but rather desiccation. 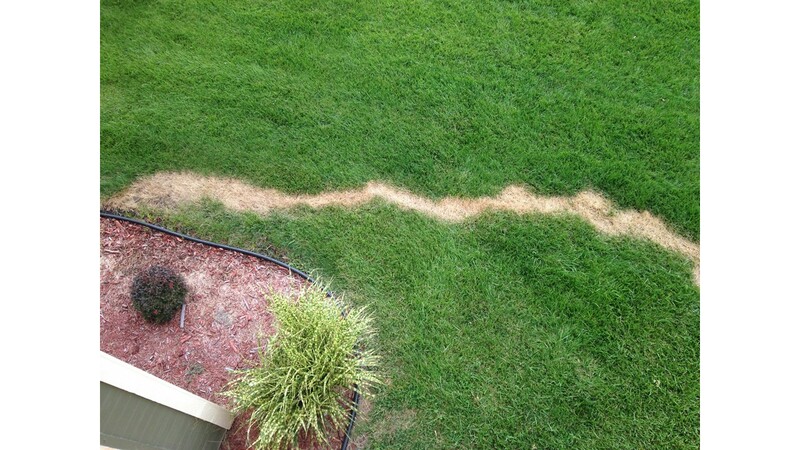 The freezing and thawing of soils heave poorly rooted grass plants out of the ground, which then dry and die. 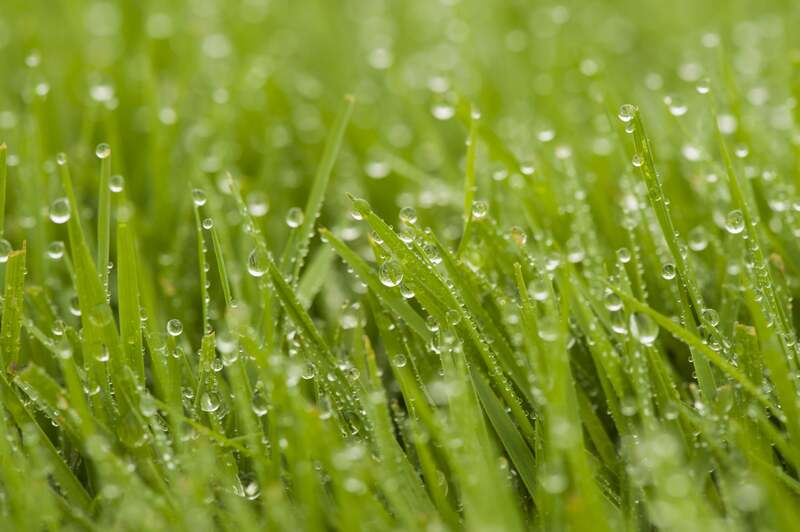 Keeping plants watered will help maximize root growth before freezing weather arrives. 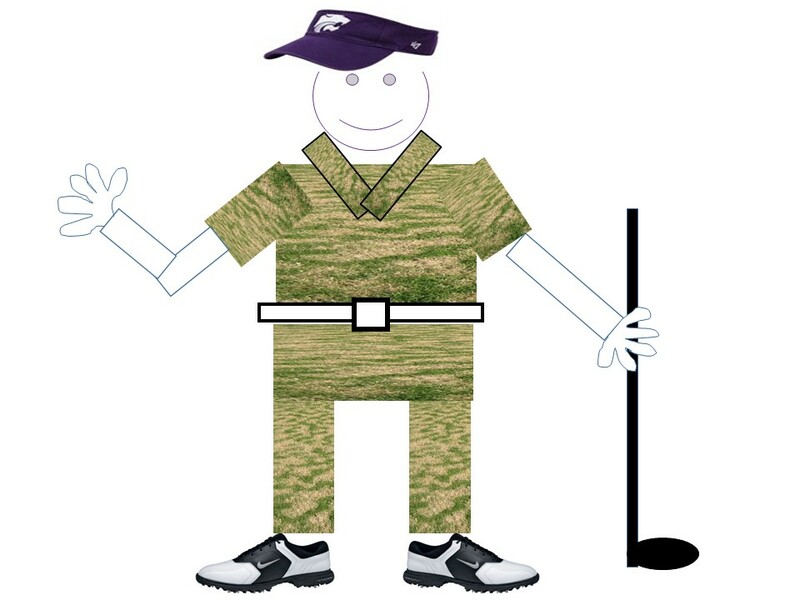 #KSUturf Team Needs Your Help! 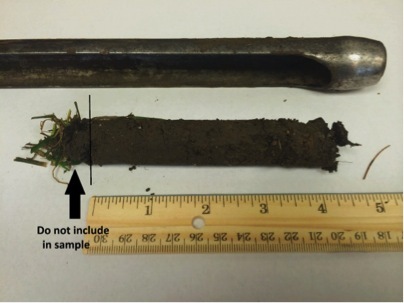 The KSU Turfgrass Research, Teaching, and Extension program needs your help! 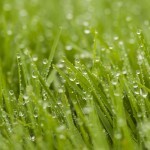 We have developed a short survey about the turfgrass/landscape newsletter, blog, twitter, and Facebook resources. 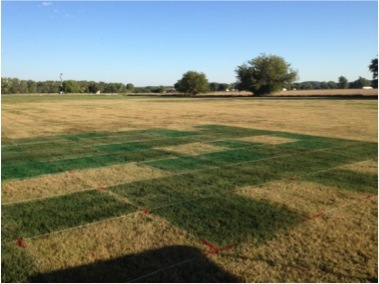 To better help the turfgrass industry in KS we wanted to get some feedback from you! So, if you could spare a little bit of time, take the short survey and let us know how we are doing! A turf puzzle – what do YOU think? Thanks to Jamie Hancock, Horticulture Extension Agent from Shawnee County, for sending these in. Check out the photos below. What do you think happened? You can post in a comment here or on Facebook, and we’ll share some answers. Full disclosure – we don’t know 100% what happened, but Jamie and I have some thoughts. Let’s see what you come up with, too.